The Parkville Hotel is at the hub of the community in Blantyre. The restaurant is renowned for its generous portions, homestyle and hearty cooking and friendly service. The Parkville in Blantyre, has everything to offer. With its warm friendly decor you can relax in our lounge where you can sample a great selection of wines, cocktails and whiskies, complimented by our stylish restaurant. Our Park Suite is available for exclusive hire, it's perfect for hosting all kinds of parties or celebrations and of course, is famous as a fabulous wedding venue holding up to 230 guests. We also have 5 boutique hotel rooms where you can spend the night in comfort and luxury. Don't just take our word for it, we were voted one of the top 100 Bars in Scotland by The Dram and Community Pub of the Year in 2013 in the Entertainment Awards, and we've been on the up ever since. We were overcharged for numerous items on our bill so had to spend some time sorting it out. Seemed to be a lot of underage people in the bar which made us leave and go elsewhere. Food was lovely. Waited 20 minutes for drinks and had to give our table back before we were finished and that was us only ordering a main. We are regular customers to the Parkville and particularly enjoy the strawberry daiquiris. However, on Saturday we were very disappointed to discover the recipe had changed and it left the daiquiris frothy and creamy tasting. The very helpful waitress was able to ask the bar staff to make us one using the old recipe. (This was returning 2 attempts of the ones made with the new ingredients). We would sincerely hope that you stick with the old recipe as they are amazing!!!!!!! 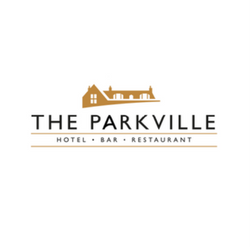 Regularly use the Parkville for their 4.5.6.7 menus which are exceptional  value for the money. 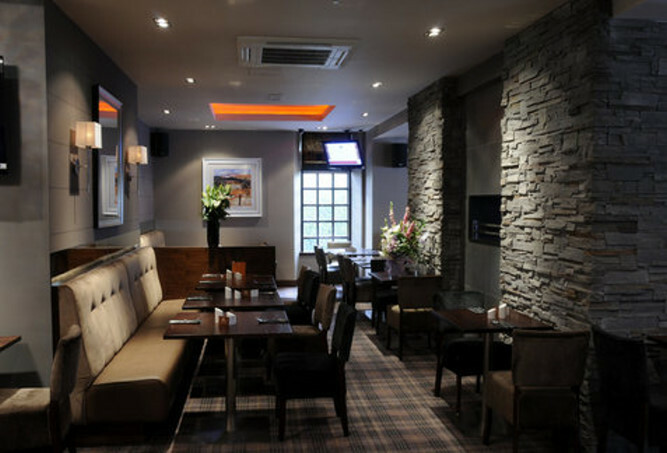 Travel from Bishopbriggs for this fabulous restaurant. Excellent meal with 1st class drink, well done all. First visit table was not suitable not the restaurant fault staff made sure we got a better table and the service and food were first class will be back would highly recommend. Had a funeral tea here we were all seated together in a area of our own which was nice. The food and service was good. Lovely place . Staff were very polite and attentive . Food was excellent .Prices are good . Food and service was very good.Great atmosphere and banter between customers and staff second to none. I was at Parkville on Saturday 16th February 2019 for a birthday meal with my family and the food, as always, was delicious with the exception of the cheesy garlic bread on the maxi platter as the butter was barley melted underneath the cheese and the bread seemed uncooked or cold .. something wasn’t quite right. The rest of the food was spot on. I would also like to mention the cocktails .. my mum my sister and I were partaking of some cocktails .. the first French martini was outstanding as were the first pina coladas however the next two rounds of pina coladas were (a) in wrong glassware in my opinion (b) entirely different to the first delicious ones (c) second French martini not as delicious as the first one. This could be different bar staff making them but disappointing none the less. The Parkville is a family favourite and consistently good in all ways. My partner and myself enjoyed a meal on the 16th February and as usual, were not disappointed. Food was great, service was brilliant- especially from the tall, bubbly, young guy who usually works behind the bar but told us that was his second shift on the restaurant floor (forgot to ask his name, but he deserves some recognition for keeping us amused) Top marks, Parkvile and staff. We will be back soon. Always made welcome food amazing . We usually come on a Sat. 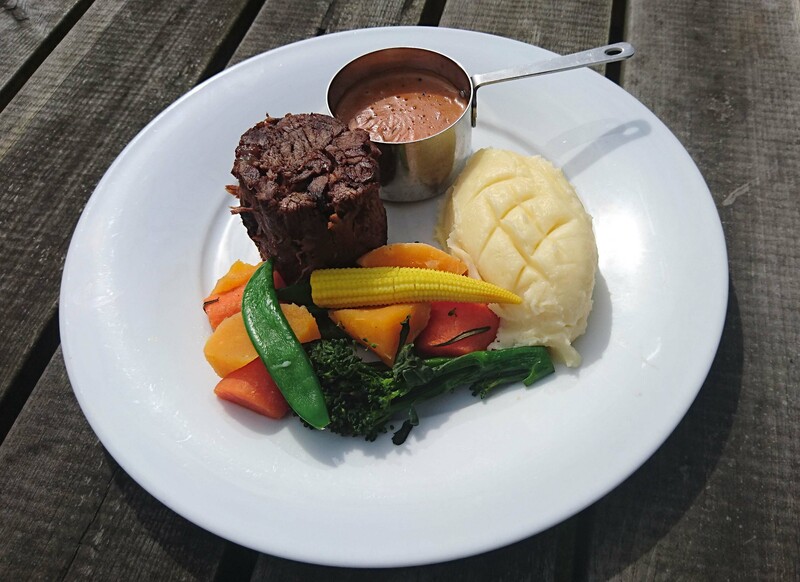 During the week the twilight meal  is very good value. First time visiting and we weren't disappointed. Waiter was very friendly, he noticed my son was wearing a 5th birthday badge and he took a few minutes to chat to him about it and wished him happy birthday which was lovely. Food was fab, great value for money and a good portion size. We will definitely be returning again. Took 2 and a half hours in total. The majority of the time we were waiting for food or a waiter. Most of the food was left when it eventually did arrive. It was a very busy Saturday night and the staff were so nice! 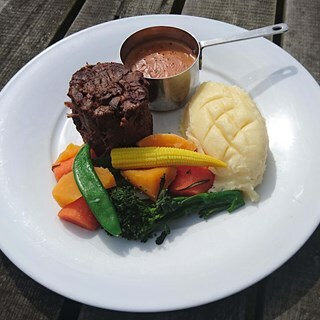 The food is beautiful  I had steak pie and I would definitely recommend it. I eat here a lot but dinner tonight but the pork was really fatty and the chicken breaststroke was dry. The garlic butter was like a pot of melted butter not appetising. Waited a long time too. Disappointed.